Idols and inspirational athletes are the driving force behind the Oakley Signature Series. Marc Marquez Signature . Matte Black with Positive Red Iridium Lens. Eric Koston Signature. Night Camo with Grey Lens. Julian Wilson Signature. Matte Black with Violet Iridium Lens. Whether your sporting guru is found on the road slopes of the Pyrennes, the snow slopes of the Alps or maybe the enclosed off-road MX circuits then you'll know how much dedication is put in by them to rise to the top of their game. Every inch of their equipment and training needs to be fine tuned. 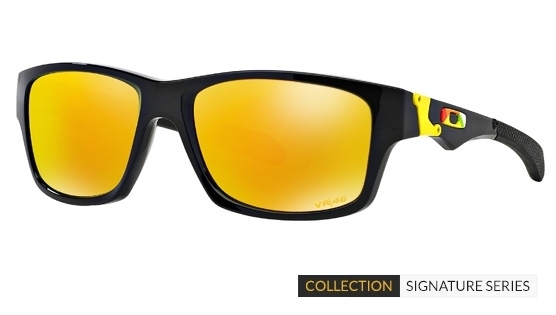 With each of the Oakley collaborations there is real distinction created. Time spent pouring over minuscule potential changes that could reap enough of a difference to standing higher up the podium. Dedication and focus, all wrapped up in art.